I have been dimly aware for a while now that my smart-phone has become an integral part of my life, often taking me away from reality. I have been aware that when I travel to a new place, I am busy capturing the beauty on my phone camera instead of experiencing it, without distractions, in person. I have been cognizant of the fact that often, when I’m with my spouse, parents, friends; I’m listening to them with one ear, while answering a Whats’app message simultaneously. I am aware that there is a lot of talk about these habits in our generation, and I do try to minimize it. I believed that I wasn’t hooked to my phone, especially after my son came along. I delight in being a stay-at-home Mom, having the blessed opportunity to see him flash his first smile, babble his first sound, flip over unexpectedly, figure out how to crawl and shakily stand on his feet using a table. I believed that I was always available to him, always around him. After all, I’m deliberately not connected to Facebook on my phone. I check my phone for work-related mails (I work on freelance writing assignments) or to talk to my husband about something important. In fact, most of the times I reach for my phone when my son is around, it is to click his photographs and capture his cutest moments on videos to share with family back in India. I send these instantly over Whats’app and while I’m there, I quickly check for any new messages. 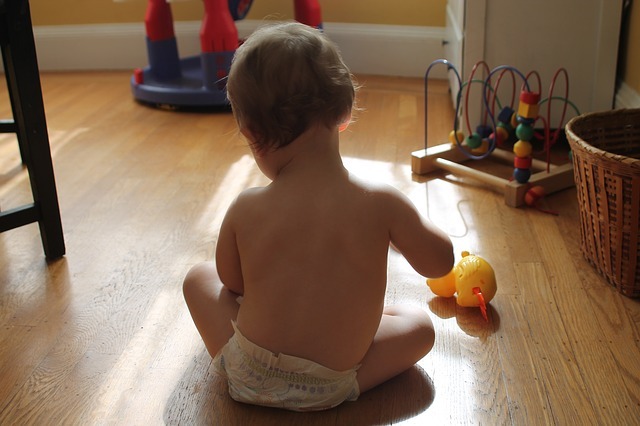 I have not drastically neglected my baby and that is why I did not think I was doing anything awfully wrong. Until a few days ago, when I read this article and it shook me up. It forced me to see myself from the eyes of my child. I realized in a heart-breaking moment that while I had been physically present for my son all these months, I had not always been mentally present. I recognized that in that moment when my son successfully managed to throw a toy for the first time and looked to me for approval, I was looking at my screen. I saw him stand for the first time and applauded him, but when he stood for the fifteenth time and still looked at his Mother with pride, expecting her to share that moment with him, I was looking at my screen. When I walked into the house with my grocery shopping and he stopped everything he was doing to give me his brightest smile, I was quickly finishing a chat so that I could give him my attention. But by the time I turned my attention to him, his smile had dimmed. I didn’t even know. Now, when I picture all these moments, I am utterly heart-broken and wracked with guilt. I have turned off the data and wi-fi on my phone. When I’m with my baby, my phone is far away. If I want to click his photograph, I do that, but since I’m not connected to the internet, there are no new messages to distract me. When he sleeps, I turn on the wi-fi and check for any important messages. For my online work, I have fixed hours when I connect to my laptop. Ever since, I’ve been surprised to see how many times during his play and activities, my son does turn and look at me. When he sees me looking right back at him, he breaks into the most glorious of smiles. The next time you’re with someone you care for, just tuck your phone away and look right into the person’s eyes. You might be surprised at what you see. PIyushi Dhir is the author of the romantic novels, 'In Search of Love' (2014), 'I'm Yours, The Next Time' (2015) and 'Enmeshed Evermore' (2015). A voracious reader, a keen traveler and an ardent dog-lover, Piyushi currently resides in Ivory Coast, Africa. A nomad at heart, she loves to discover new places and capture the hues of life with her pen.